This is the second Bowie knife I made. It is approximate 19 layers of 1075 and 15N20 pattern welded and twisted in one full twist then drawn out and forged into a harpoon point Bowie knife.This custom Bowie knife has brass D-guard and a brass pin with a dark stained curly maple handle. 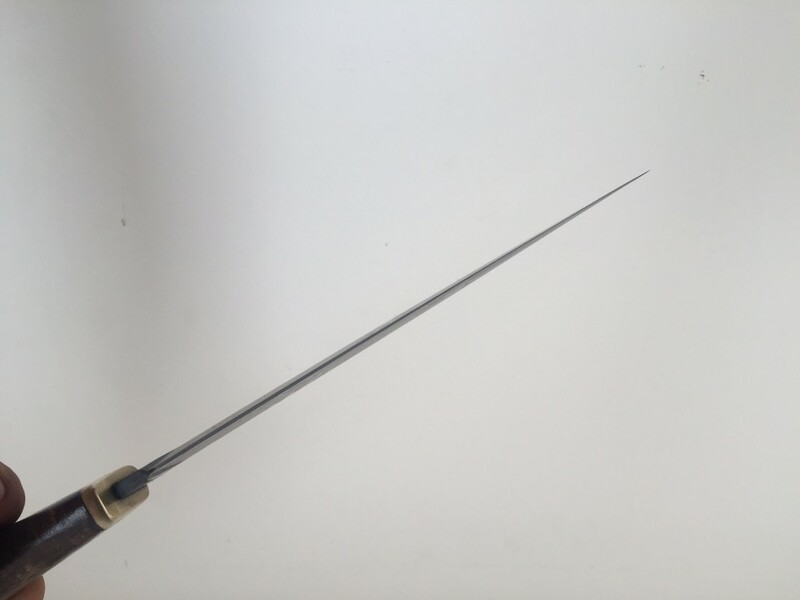 The blade is 7 inches long and about 12 inches over all length the tallest part of the blade is 1.6 inches. 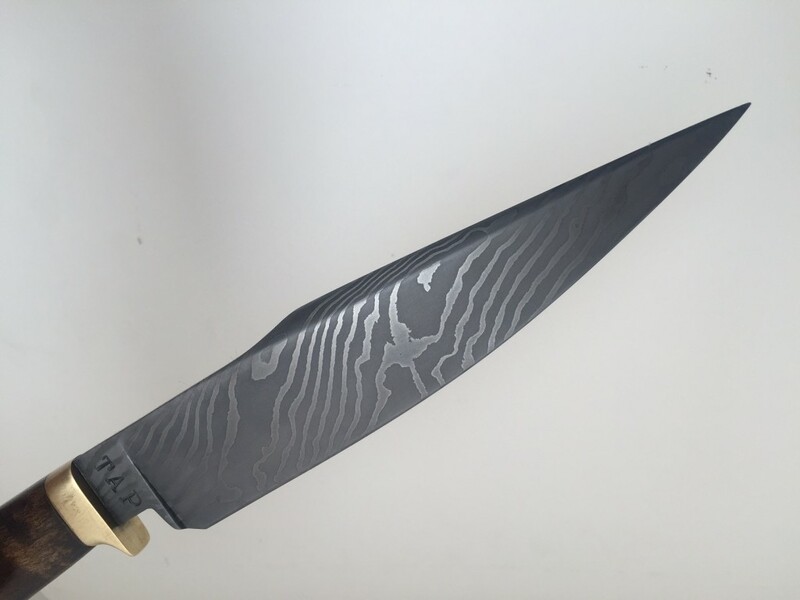 The balance on this knife is just under an inch in front of the guard making for an agile fighter or a good all around camp knife. This custom knife is perfect for field dressing or to be put on display. This knife is both beautiful and functional. 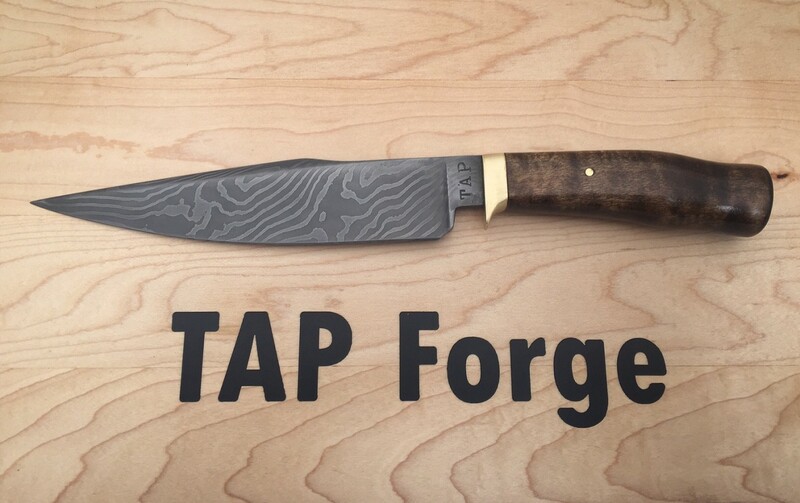 I am keeping this knife as an example of my work but if you want me to make you a custom version of this knife please contact me via my quote page, Thanks for supporting TAPForge.